On your second visit we are able to give you a more complete idea of the results from your first visit. This is called the report of findings. We can correlate X-ray findings and make a plan of action. This is also a good time to answer any questions arising from the first visit. 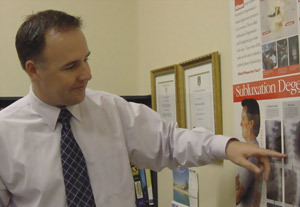 We can commence or continue chiropractic treatment from the first visit. We can start to think about stretching, strengthening and general exercise strategies. We can get on the road to recovery. If you think that you or a loved one is a good candidate for chiropractic care, contact Eastgate Chiropractic to arrange a thorough examination in our practice.